They’re here. 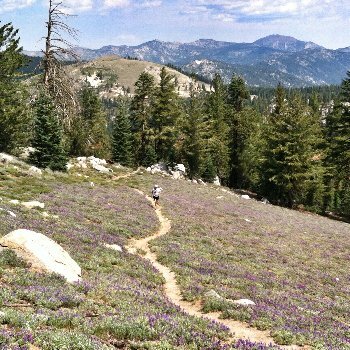 PCT Thru-Hikers. What a Trip. You’ve probably seen them lately. Huge backpacks. Shoes dangling. In need of a shower; a place to stay for the night. And a glimmer in their eye that no one can possibly understand unless you’ve done it. 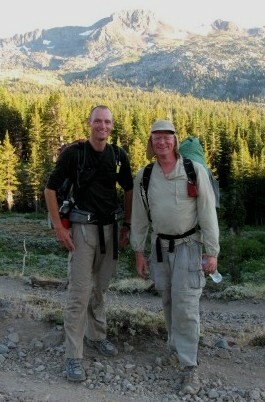 PCT Thru-Hikers; those hearty hikers who have been walking from Mexico as they keep on keeping on to the Canadian border. 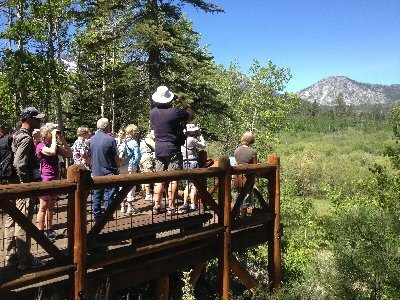 Flock to Taylor Creek Visitor Center for the annual Lake Tahoe Bird Festival in June. Look. Up in the sky! It’s a Pelican! A Pelican? You may have seen them lately because they’re only here in the Spring. 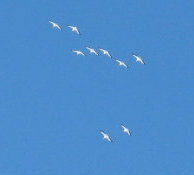 Big white birds, flying in perfect formation high in the sky. Lake Tahoe is in the migratory path of pelicans headed for Pyramid Lake, Nevada.